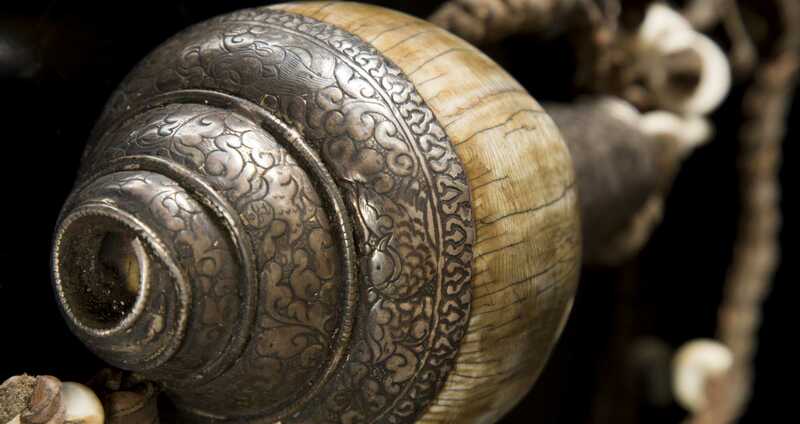 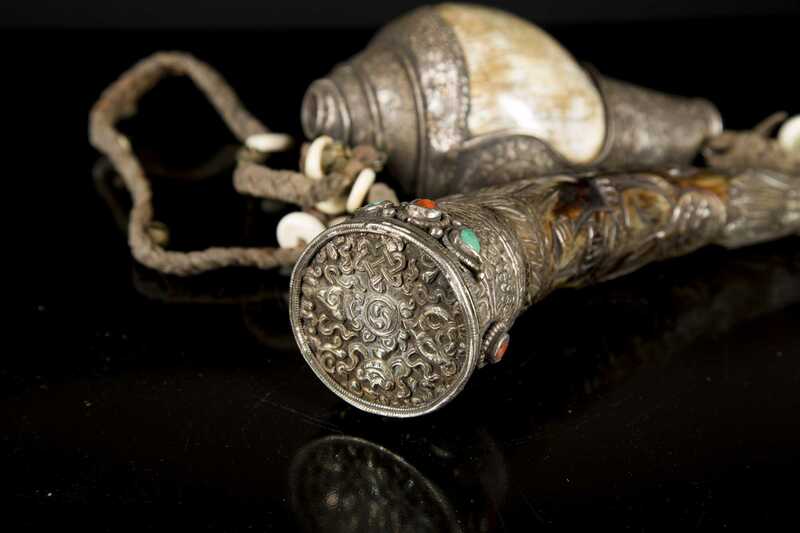 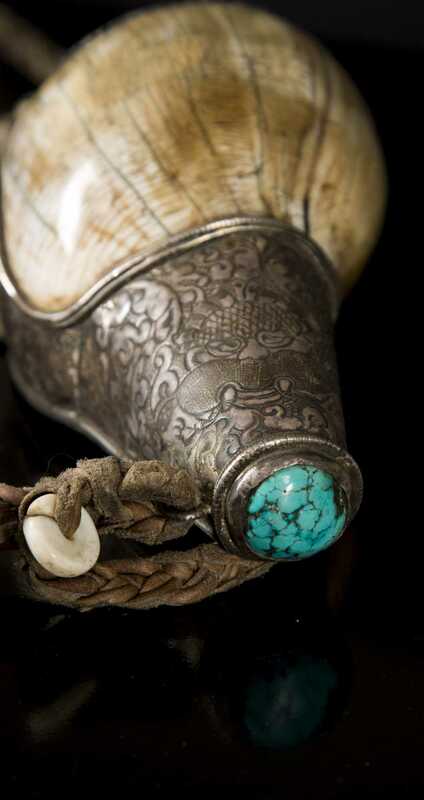 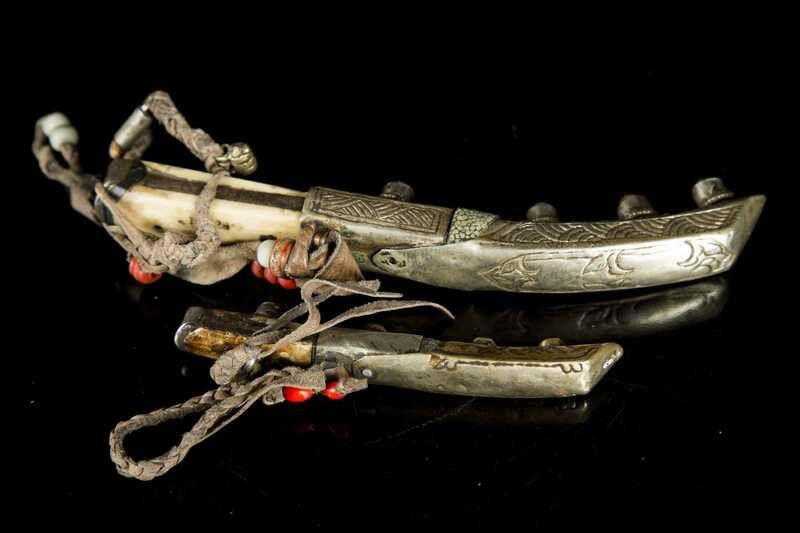 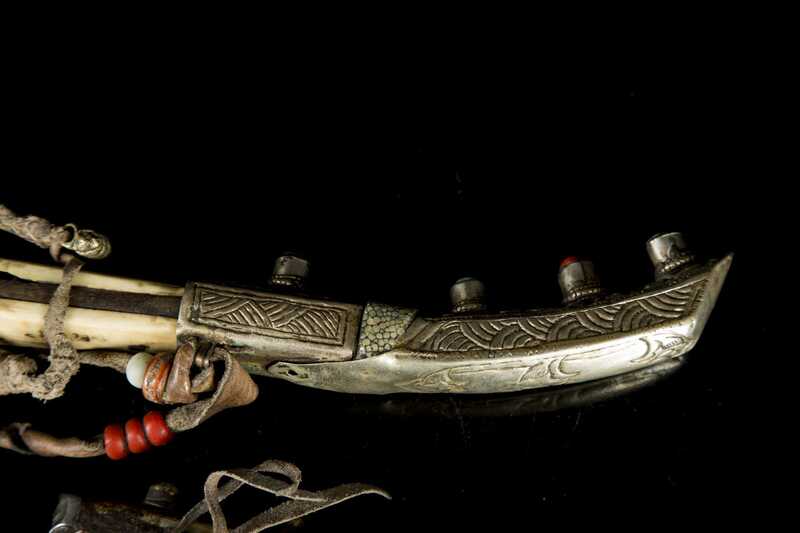 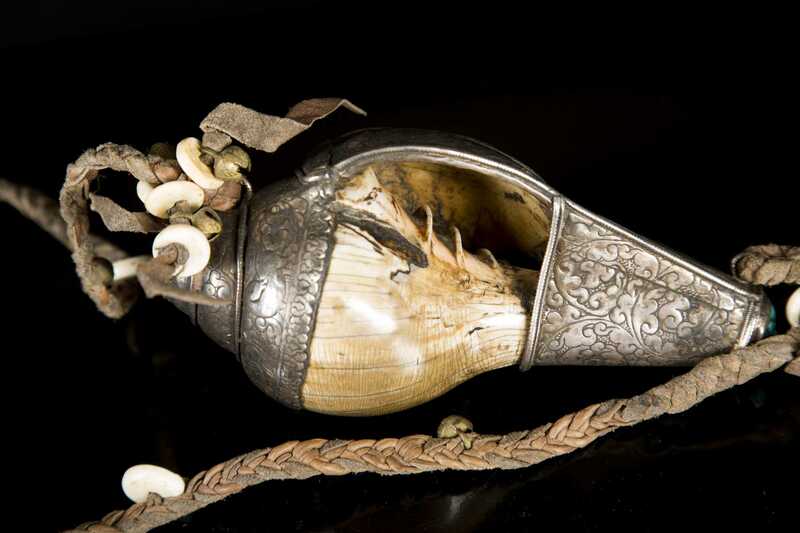 Lot of Four Tibetan Silver Decorated Items, A) A conch shell horn floral and face engraved silver top and base, leather carry strap adorned with bone discs and bells, 6 1/2" long without strap, 19thC or earlier. 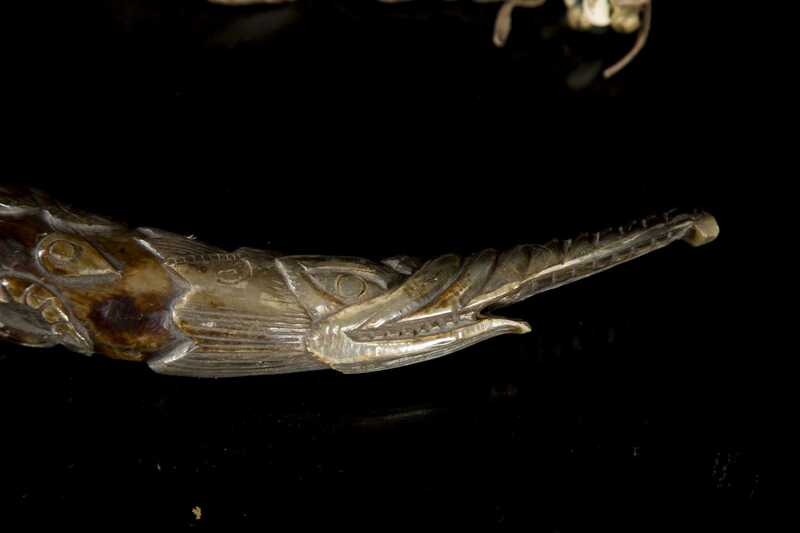 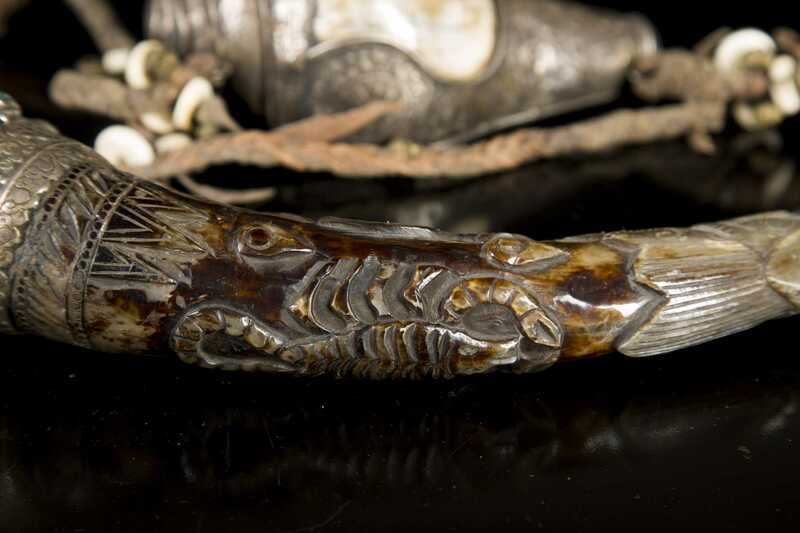 B) An animal horn carved with a scorpion, man and fish then capped with a chased silver and semi-precious stone cup, 12 1/4" long, probably 19thC. 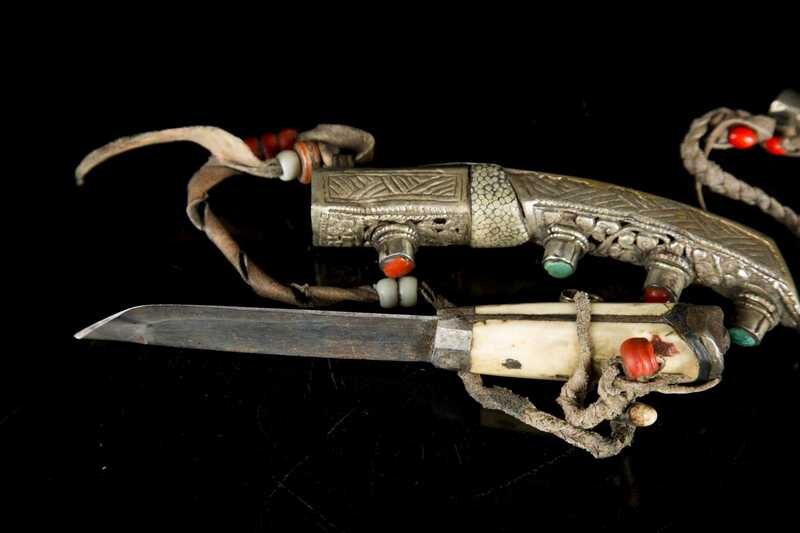 C) Small bone handled knife fitted with a tooled silver and semi-precious stone sheath, 8 1/2" long, 19th/20thC. 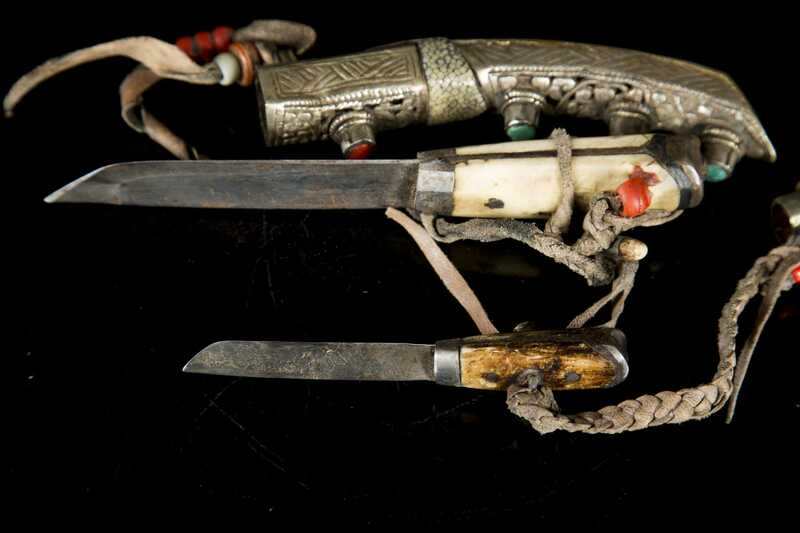 D) Small bone handled knife 5 1/2" long including the silver and brass with semi-precious stones sheath, 19th/20thC.